Numerous tips led Santa Clara County Sheriff's deputies to surround a Gilroy Days Inn early Monday morning looking for an escaped inmate who broke out of jail with a buddy on Thanksgiving eve, a spokesman for the department said. But the search did not yield whom they were looking for: Escaped fugitive Rogelio Chavez, 33, of San Jose — even though an official said he was "highly confident" that the fugitive had been in Gilroy over the weekend. Sources confirmed to NBC Bay Area that Chavez was at the Gilroy motel and left just before the raid. Both Chavez and Laron Desean Campbell, 26, of Palo Alto are still outstanding, according to Sgt. Richard Glennon. At the hotel, two women and one man were taken in for questioning, but it's unclear how and if they were related to the jail breakout, a Santa Clara County Sheriff's sergeant told NBC Bay Area. He did not elaborate. Video shot at the hotel, located at 8292 Murray Ave. near U.S. Highway 101 about 4:30 a.m., shows at least one of the women, wearing a gray hoodie, being taken into a patrol car. 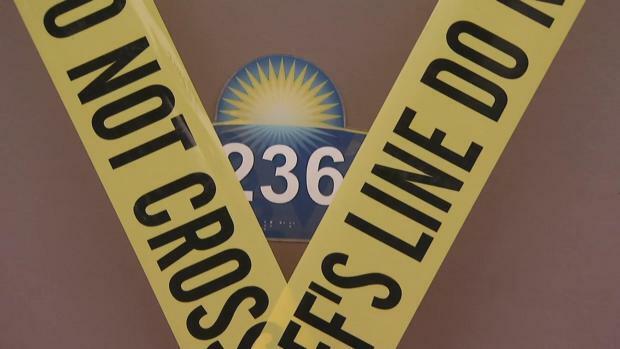 A white SUV was towed away from the hotel parking lot, and room 236 had yellow crime scene tape over it. Days Inn guest Eddie Esch told NBC Bay Area that he is visiting from Germany and overheard all the commotion. "What's going on here?" Esch recalled asking out loud in broken English. "We come here and think 'very safe motel here.' Very, very nice rooms. Everything's very good. And so we had seen this and we are very scared." There is still a $20,000 reward for the capture of the escapees. Chavez's stepfather spoke to NBC Bay Area Friday and demanded that his stepson turn himself in after saying that the escape was not a smart move. Santa Clara County sheriff's officials said they believe fugitive Rogelio Chavez had been staying in room 236 at the Gilroy Days Inn on Nov. 27, 2016. 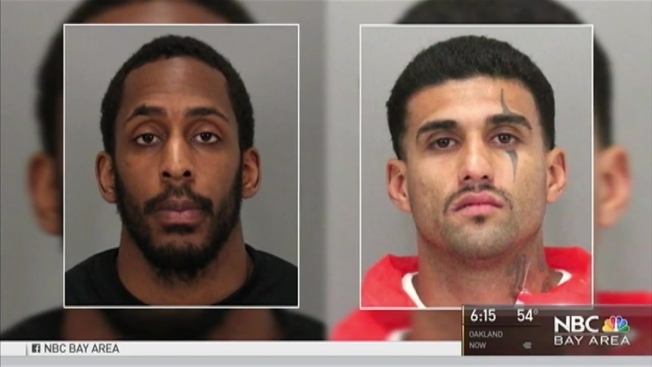 Chavez, who has a large line tattoo over his left eye, and Campbell broke out of the main jail in San Jose on Wednesday at 11:08 p.m. after cutting through the bars and rappelling down two stories with the help of bed sheets and clothing, which were tied together, Glennon said. It is unclear how the inmates got their hands on tools to cut the window bars, Glennon said. Sources told NBC Bay Area late Friday that the jail confiscated at least one hacksaw blade in the last few months. The blade was confiscated in another wing and different floor of the main jail from where Wednesday's escape took place, according to sources. Chavez and Campbell were with two other inmates who also tried to escape, but those two were caught and taken back into custody. NBC Bay Area's Kris Sanchez and Damian Trujillo contributed reporting.